British engineering firm MMI is selling the Avocet sports car program including its design, all data as well as production and intellectual property rights. The car itself is a 1,600 pound mid-engined two-seater. Not a Miata, but close in spirit! The first Avocet renders popped up back in 2008, and while the press instantly compared the car to a Lotus, I always thought it was more of a Renault Sport Spider kind of deal a decade after the French perfected the concept. We have done everything we set out to do – and more. 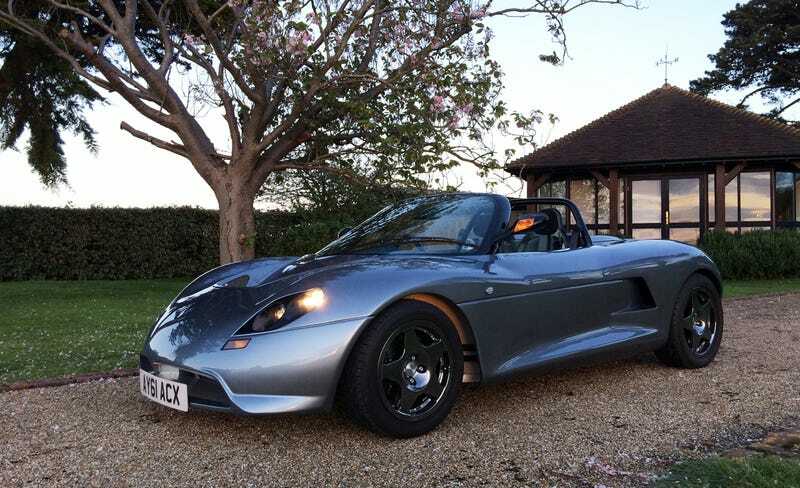 The result is that Avocet is now a highly competitive car which combines a stylish, ultra-lightweight two-seater body with exceptional chassis dynamics and awesome performance ... and we have achieved that whilst still retaining our base model price ambition of sub-£30,000 OTR (on the road). That price and the weight target of 1,543 pounds could only be achievable in the UK of course, but the Avocet is a smart package nevertheless. Lotus and Caterham people worked on it, and the result is a modular two-seater based on an aluminum honeycomb chassis with a center tub, subframes and sub-assemblies. It can be left hand drive, feature a central seating position and MMI claims a modern hybrid system would fit as well. What’s more, the future owner may even be able to create its body shells using 3D-printing technology. Yeah, but what exactly do you get for your money? MMI has completed a pre-production run of the car, which features a doorless, one-piece moulded body shell and utilizes some of the latest lightweight composite materials to provide remarkable strength combined with low weight. The standard car features a steeply inclined windscreen, although a very attractive low-line wrap-around aero-screened ‘Spyder’ version is included in the range. The current vehicles use selected Ford standard and performance parts, which give the cars a mature component inventory that is fully tested and proven in the market. The standard powertrain incorporates a Ford 2-liter engine developing 150bhp. An up-rated 225bhp version, developed by Mountune, has been included as a special order option. An all-up weight of around 700 kilograms, in power to weight terms, positions the Avocet alongside the quickest – and, with a 0-60 time under 5 seconds, it makes the car extremely competitive. The car is designed for sale as a fully equipped, fully homologated road-going sports car. So, you get a Ford Miata with an engine behind your back. If it doesn’t work out, you can always just buy a Renault Sport Spider.